0.5mm heigh dot peen marking application done by a desktop Dotpeenator. Dot peen marking is a process in which dot peen marking machines are used especially for permanent marking of metal, plastic or hard surfaced workpieces to maintain the traceability of the products. Deep or permanent marking is required by the Quality Assurance Departments of the companies. 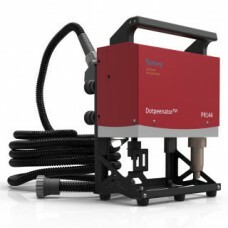 Dot Peen or Dot Pin or Stylus or Indent Marking Machines are considered in four groups. 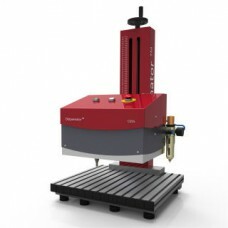 The first one includes the Integrable dot peen marking machines. The second type includes desktop dot peen marking machines. The third one includes portable dot peen marking machines. And the last one includes mobile dot peen marking machines. Dot peen marking procedure carried out by CNC marking machines are mainly utilized in Automotive, Space, Defense, Machinery sectors because or their very serious approaches to their after-sales activities. 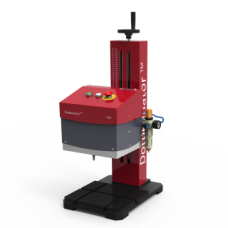 Especially the integrable dot peen marking machines are used by automation guys to give serial numbers to their workpieces during the manufacturing or testing processes. 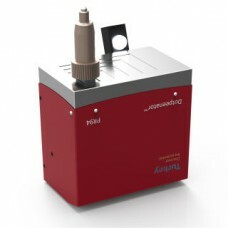 The desktop dot peen marking machines are good for small and light workpieces. Desktop dot peen marking devices are small marking workstations though. We can also integrate cameras to read the marked 2D Data Matrix Codes on the surface of the workpieces or OCR & VCR applications. 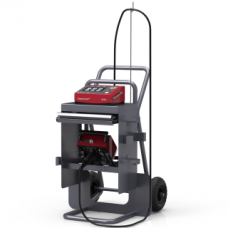 The portable dot peen marking machines are good for large or heavy or voluminous workpieces since they are hard to move. 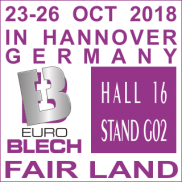 By portable dot peen marking machines, operators easily move on to the workpieces and mark the required content right in place like long steel construction profiles used for building up the steel buildings. 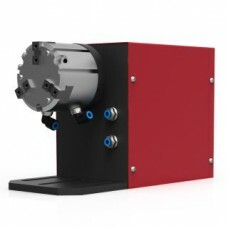 When it comes to the mobile dot peen marking machines, they are always the best bet for marking heavy duty workpieces scattered all around on the large factory floor like heavy cast iron valve housings. 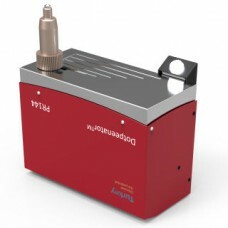 Finally, not mentioned yet, the combined ones including a kit of column & work table and any portable dot peen marking model might be the best fit if you need a combination of the capability of marking small workpieces on a bench top and the flexibility of a portable dot peen marking machine. The technology of dot peen marking dates back to about 30 years ago. 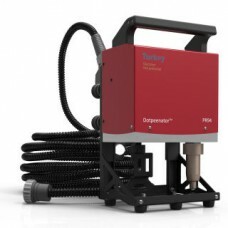 Even though it is old in technology, it still performs faster and/or more cost-effective than a laser when it comes to the depth of the marking result versus the investment required. 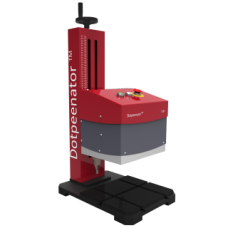 Dotpeenator Dot Peen Marking Machine series manufactured under the roof of SERMATEK are very durable, very talented and heavy duty. Its structure is based on very precise linear guideways, aluminum construction, step motors, air-cooled micro drivers, heavy-duty double columns, cast iron work table with T slots, stainless steel dust covers. 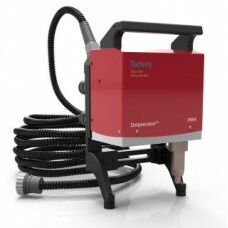 The special tools are designed to meet all the industrial marking needs. They are used for shallow marking, deep marking, uneven surface marking (up to 18mm), fast marking applications. All the peen cartridge housings of our Dotpeenator dot peen marking machines in Pneumatic series are made up of steel instead of aluminum. 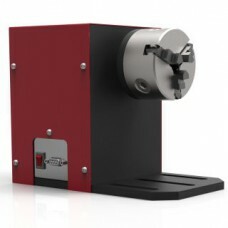 We do also offer Electrical Dotpeenator Dot Peen Marking Machines that do not require air. 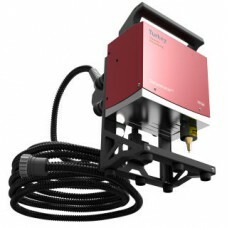 Both of our electrical and pneumatic dot peen marking machines will meet all the industrial and personal needs in marking applications. The several thousands of units sold more than 16 countries have very satisfied customer portfolio all over the world. CO15 model nokta vuruşlu markalama makinamız bilgisayar ile kumanda edilen CO9 modelimizin bir büyük..
En çok satılan ürünümüz olan Dotpeenator CO9 Nokta Vuruşlu Markalama Makinası Windows temelli Dotpee.. 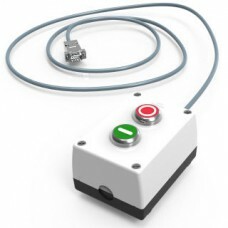 The electrical peen/cartridge assembly running via magnetic field effect allows the marking operatio.. 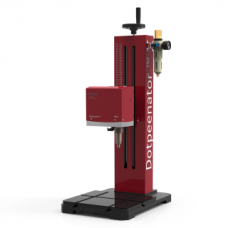 The Dotpeenator ™ DT144 Desktop Model among our dot peen marking machines is a model .. 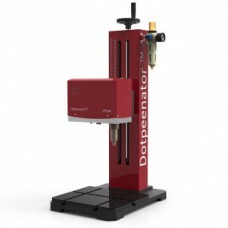 The Dotpeenator ™ DT94 Desktop Model among our dot peen marking machines is a model w..
Dotpeenator™ INT144 Integrable Dot Peen Marking Machine..
Dotpeenator™ INT94 Integrable Dot Peen Marking Machine..
Dotpeenator™ Mobile Dot Peen Marking Machine Trolley..
"A Dotpeenator™ PR100 Pneumatic Rotary Axis" is integrated into any dot peen marking machine in Dotp..
Dotpeenator™ PR144, Portable, Talented, Heavy Duty, Powerfull but Considering the 144X40MM Marking F..
Dotpeenator™ PR94, Portable, Talented, Heavy Duty, Powerfull but Still Compact Hand-Held Dot Peen Ma..
Dotpeenator™ PR94A, Portable, Acrobatically-Talented, Most Heavy Duty, Powerfull but Still Compact H..
Dotpeenator™ PR94E Portable Electric Dot Peen Marking Machine..
Dotpeenator™ R80 Rotary Axes are integrated into all our dot peen marking machines. Each of our dot ..